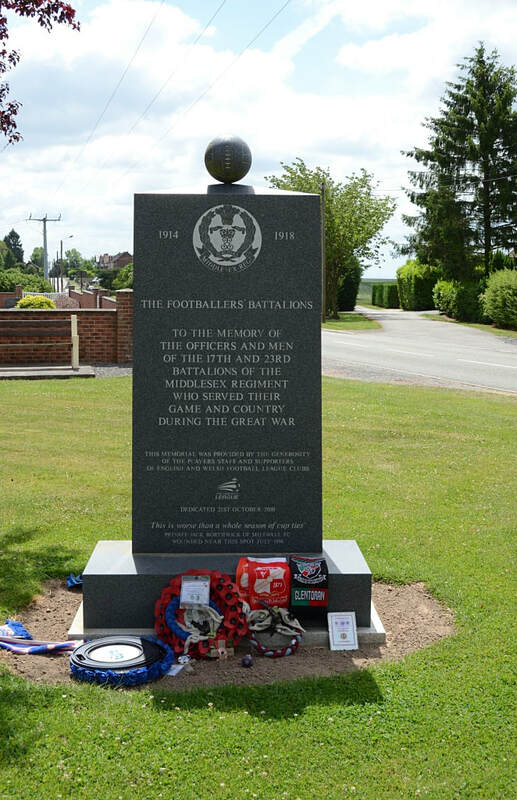 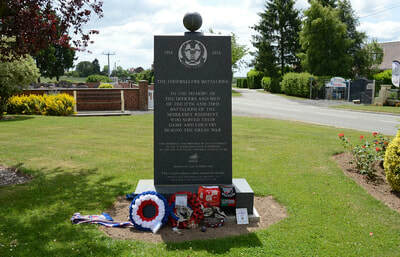 The Footballers Battalions Memorial is located in Longueval in the Somme region on the Route de Ginchy. The Memorial is very close to Delville Wood Cemetery and the South African National Memorial. 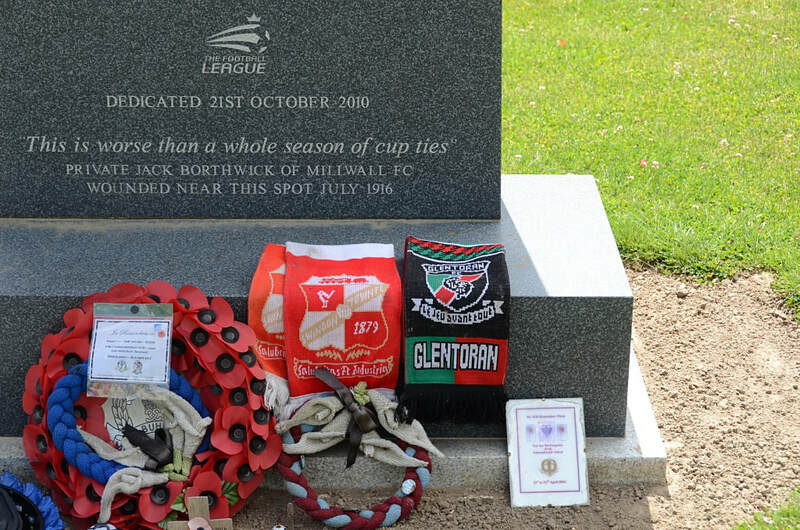 The Memorial was unveiled in 2010 and was attended by members of the Football Supporters' Federation and representatives of more than 20 clubs.